The EDA-5 is a semi-structured interview meant to assist in the assessment of a feeding or eating disorder or related conditions according to DSM-5 criteria. It is intended for use by clinicians (across disciplines) with some familiarity with the feeding and eating disorders diagnoses. The EDA-5 is available at no cost for use in clinical settings. Researchers and clinicians with access to funds (e.g., via grants) can voluntarily make contributions to support the upkeep of the instrument by contacting us directly. To access the current version of the EDA-5, click on the link to the right. Several other versions are planned. Please note: Google Chrome must be used to successfully access the interview. Sysko R, Glasofer DR, Hildebrandt T, Klimek P, Mitchell, JE, Berg KC, Peterson CB, Wonderlich SA, & Walsh BT. The Eating Disorder Assessment for DSM-5 (EDA-5): Development and validation of a structured interview for feeding and eating disorders. International Journal of Eating Disorders, 2015 Jul;48(5):452-63. 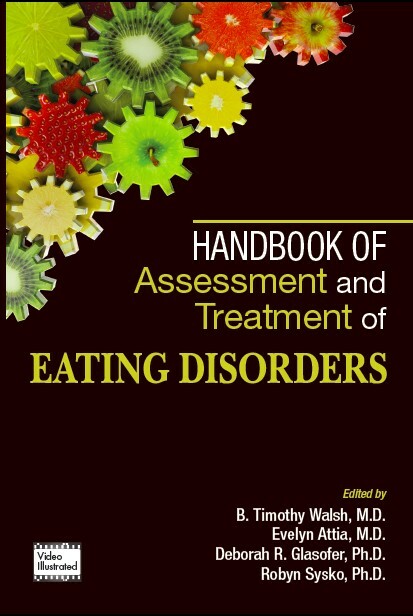 The user’s guide for the EDA-5 is available as Chapter 10 of the Handbook of Assessment and Treatment of Eating Disorders (publisher: American Psychiatric Publishing). Header Photo Credit: Creative Commons by Genista.